The tradition and grandeur of a stadium Flyover following the Nation Anthem is an American tradition and a legendary solute to service. 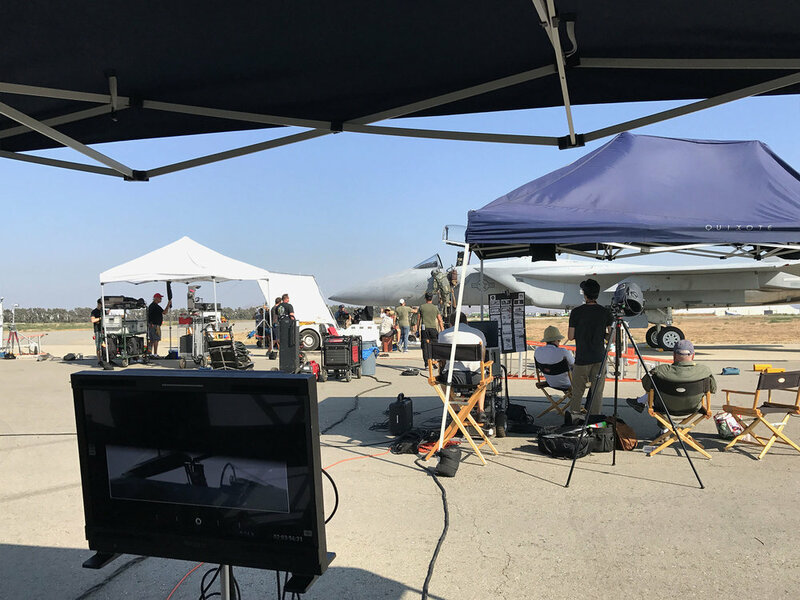 USAA wanted to bring something epic and innovative to their customers, and the entire armed forces, for their 2017 football season partnership with the NFL. 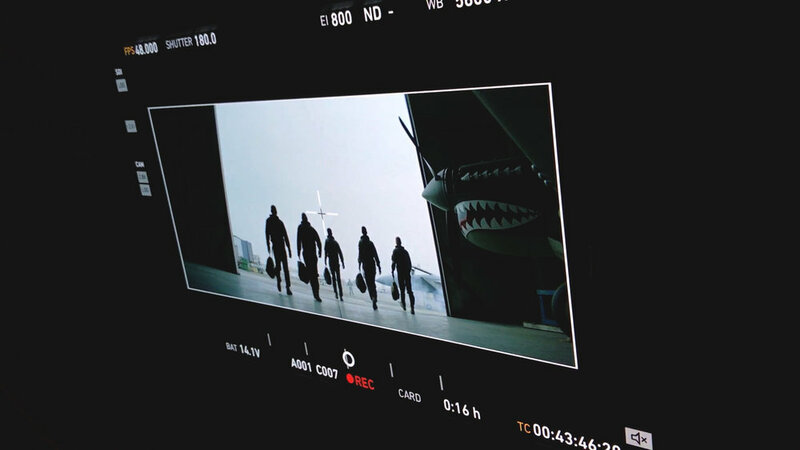 When I was brought onto the project, the Sapient Razorfish USAA creative team had sold through a simple site experience: users could enter their own address, or nominate someone who's served to do so, and receive a virtual 'flyover', where aircraft fly at low altitude, typically over a stadium, in tight formation, at their address using Google Streetview images. While this concept was, in itself, innovative and affecting, I wanted to help grow the experience to something more dramatic, emotionally grounded, and cinematic that would drive desire to share socially. In this new content I was given room to conceive of and add the entire up-front film, a dynamic voice generative element, and the addition of a Google Earth scene. The ACD and I presented and eventually sold through this broader, much more ambitious vision. We engaged Tool of North America as our production partner and I was retained as the Motion Director on the project filling out only a 3 person agency team with an ACD and Project Manager on the SRF side. 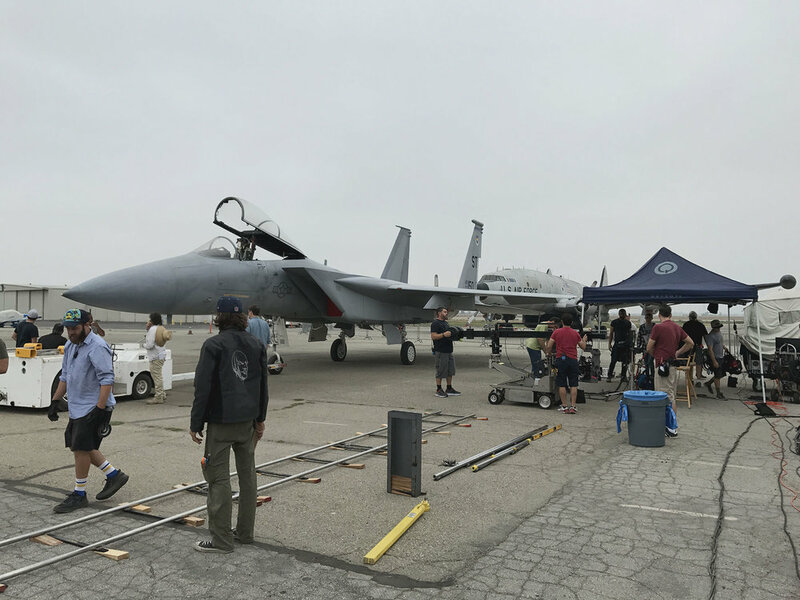 After leading the script revisions, storyboarding, logistics, and casting— negotiating the needs of both a layered client approval process and a meticulous production house— we scouted locations remotely with director Alec Helm and located a retired F-15 fighter jet that became the focal point of the video and eventually the entire experience. 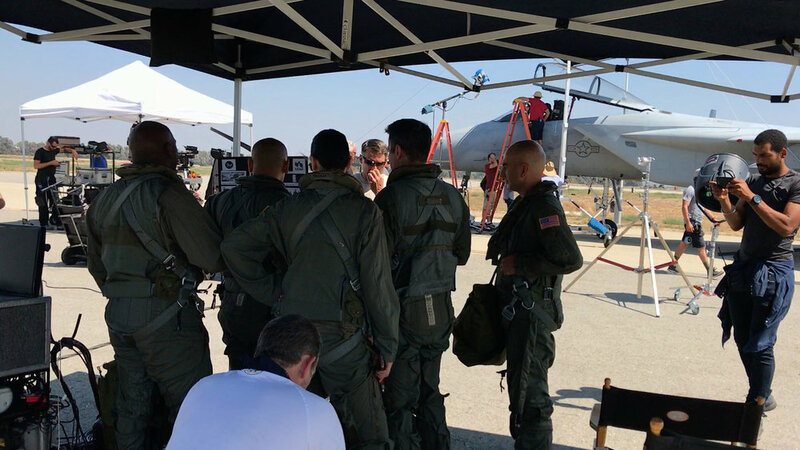 The client's uncompromising push for authenticity drove our decision to cast all retired military pilots, with a Top Gun graduate as our lead (all USAA members), and utilize a series of pre-pro and on site military consultants who helped us pick apart every detail of our script, wardrobe, props, aircraft, sets, and even the principal pilot's just-cocky-enough, fighter pilot saunter. 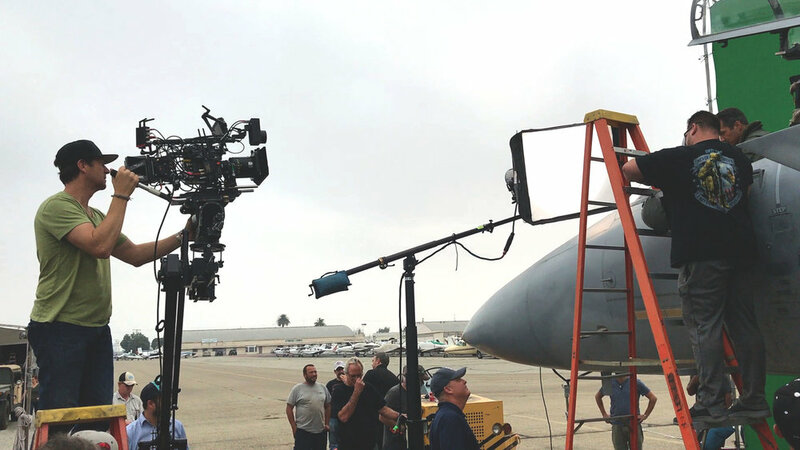 The shoot, on location in Chino, CA, took place on the tarmac of an active airfield to captured the kinetic energy and visceral anticipation needed to inject the experience with the excitement and emotional weight we sought. Parallel to a dev team racing an aggressive delivery date, I oversaw the initial edit before moving on to the intensive, truncated post process. Working closely with LA's Shed, almost every shot required cinema quality CG and VFX work. 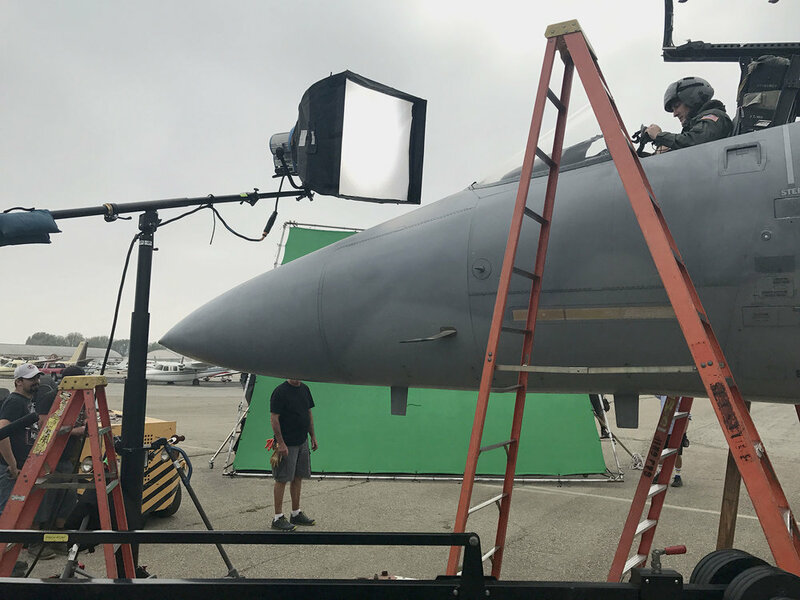 Tasks like removing background elements, making worn military equipment look new, adding 3D fighter jets to some scenes, and manufacturing other scenes from the ground up had to take place in line with curve-balls and edit tweaks trickling in from the large review tree. Woven into this process was the audio work cycle, re-composing the score to iterative edit changes before final sound design, VO sessions, and mix. I managed the entire process from a creatively critical standpoint, providing visual direction, references, animatics, and countless rounds of notes and revisions as we crafted the story and finessed the visuals and audio to optimal form. During this process I liaised between Tool, agency producers, and various levels of USAA clients, managing information flow, presenting work iteratively to our client partners and distilling their feedback into the process digestibly for the creatives. Call in a Flyover launched in late 2017 to praise across press and social media. Offered up to the USAA community through direct e-mail before wider distribution, an extensive media campaign followed driving over 700k visitors to the site in the first week alone and generating tribute videos for tens of thousands of the military members it was made for. This project was one of the most complex and demanding I've ever had the privilege of working on, and I hope it brings joy to some of the men and women who deserve it the most.